I've mostly given up on trying to be relatively anonymous on this blog. I figure that people who know me already know how to find this site, but I'm starting to try to take on some relatively public responsibilities related to open source software and the newly "announced" BeagleBoard. Actually, the BeagleBoard isn't officially "announced". The reason is that there really isn't a community or set of applications around it yet to make it something worth announcing. Instead, it is just an open project looking for some of the right folks to help make it happen. 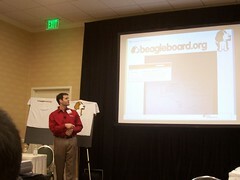 I have a lot of confidence that the BeagleBoard will be a very real and active community project. Just let me know if and how you'd like to get involved. For those who have read my blog posts in the past, rest assured that the BeagleBoard is quite intertwined with my vision for collaboration. My hope is that it will yield a nice starting point for building collaboration software that could be integrated into just about any form-factor and innovative human interface. 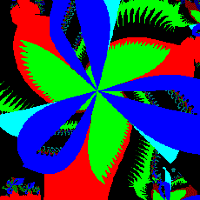 BTW, that was a nice presentation!